Review of facilities at Hillmorton Hospital Campus. Terms of Reference. 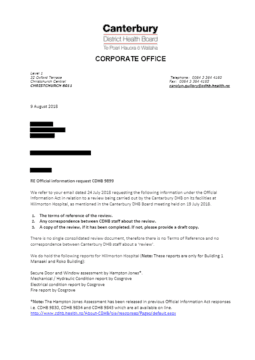 Correspondence between CDHB staff.